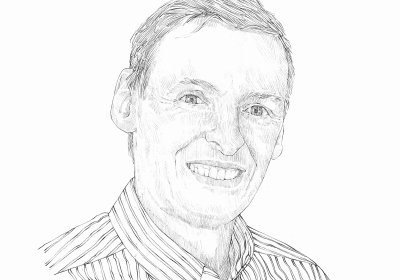 Jeremy Barrell is the Managing Director of Barrell Tree Consultancy. He is a prolific international speaker and writer, specialising in urban tree management, tree safety and heritage trees. Research commissioned by the National Tree Safety Group (2009) indicated that tree failures cause about six deaths and 55 serious injuries annually, and more than 75% occur on highways. However, very few of those incidents ever get to court (fewer than 2%). UK satellite images after heavy rain show river estuaries engulfed by massive swirls of muddy-brown water extending out into the surrounding ocean blue. It is soil scoured from our mismanaged land because of Government policies that focus on food production at the expense of sustainability. I wrote my first opinion column 10 years ago. After all that time, I would love to report trees are flourishing and the environment is thriving, but I can't. The ambition to embrace a natural capital accounting management approach in the Government's draft 25-year environment plan is to be applauded. Brisbane is hot and its people need trees for heat relief, so when an aggressive fungus, Phellinus noxious, began killing its biggest figs in 2006, the city reacted with a corporate programme to stop the rot. Drive anywhere in the UK and you will find tree planting on new developments in a dreadful state. A new Government is a new start, and with it comes new hope that past failures can be recognised to shape a future with brighter prospects. Despite the losers' lament that change is inevitably bad, the opportunities for betterment are everywhere. For anyone confused about trusting politicians, the 2009 MP expenses scandal provided some useful insights. If that wasn't convincing enough, then the wild extremes of political speculation emerging from the EU referendum debate should be enough to remove any doubt. Plane wilt is a vascular disorder similar to Dutch elm disease and just as deadly, evidenced by its devastating impact in France. Just one short boat trip away and a London without plane trees will be the reality, not some remote scenario way down the list of national priorities. Amazon basin soils are often poor and once the forest has been slashed and burned they become increasingly unproductive, driving people to slash more and burn more. I heard that more than 1,000 street trees had been felled over four months in Sheffield, with many more for the chop in 2016, so I visited to see for myself.